Al Qaida: A reflection of Globalization? Almost every aspect of international terrorism—from the make-up of terror organizations, to their tactics, to their overall goals—has undergone major changes over the past two decades. A case can be made that these changes stem from the “globalization” of terrorism. The terror organizations active in the 1970s and 1980s were mostly secular, with clearly defined nationalist objectives focused on a single ethnic or religious grouping, acting within the conceptual framework of the traditional nation-state. Even groups espousing international Marxist ideology tended to base their activities on territorial or national claims. The last two decades have seen a gradual decrease in nationalistic, secular terrorism. Of some 130 organizations engaged in violent conflict with governments in 1985, only about two dozen remain. Of these survivors, most have either mutated into criminal organizations (e.g. Abu Sayyaf) or have become combatants in conventional civil wars (e.g. FARC in Colombia and the LTTE in Sri Lanka). Some of the most prominent nationalist organizations are currently negotiating with the governments with which they were previously at war, or have gained new life as political parties (e.g. the IRA and the Maoists of Nepal). 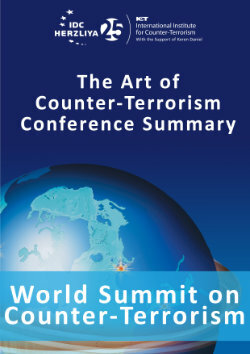 Today’s terrorist threats are for the most part associated with the international network popularly known as al-Qaida. In reality, while “al-Qaida”, does exist as an organization, its name has become a form of “brand” used by any number of cells and groups inspired by Osama bin Ladin’s organization and ideology. Thus, there is no single command orchestrating “al-Qaida” terrorism worldwide; instead, there is a social movement, sometimes referred to as the salafist jihad movement or the “Global Jihad”, which in its extreme form engages in violence against real or perceived enemies. The Global Jihad has no territorial grievances along nationalist lines. This in itself reflects one of the core trends of globalization: as the nation-state has yielded its centrality to supranational, global entities and concepts, terrorism has followed suit. The gradual erosion of the ideological basis of the nation-state, noted by globalization scholars, is reflected in the demise of most nationalist/country-based terrorist organizations. Both Global Jihadis and their Western antagonists perceive their conflict as essentially borderless. The Global Jihad is driven by a Wahhabi-salafist “globalizing” ideology that advocates a borderless Islamic caliphate to replace nation-states. It envisions the disappearance of all rival religions, and the conversion and absorption of all surviving ethnic groups. Jihadists see themselves as fighting a global war defending pure Islam against the forces of decadent Western civilization and its puppets in the Islamic world. This worldview is expressed in jihadists’ division of the world into Dar el-Harb, the World of the Sword, and Dar el-Islam, the World of Islam. Ironically, the United States government tends to understand this conflict in virtually the same terms as do the Islamists—as a clash of civilizations. However, it would be more accurate to view this as a “clash of globalizations”: the Islamist “Dar al-Islam” versus the Western free-market liberal-democratic system. Another change in modern terrorism has been the decline in state sponsorship. During the 1970s and 1980s, almost every major international terrorist organization relied on financial and logistical support from one or more sovereign states; those organizations lacking state sponsorship remained purely local in scope. In recent years, however, states have increasingly been supplanted in this role by multi-national terrorist conglomerates and sub-state entities, motivated by religion or ideology, and often regionally based. This parallels the growth of multilateral agencies and organizations which replace or complement traditional functions of national governments. Terrorist organizations do not operate in a vacuum. They require a broad base of popular support for their goals and actions. Radical Islam in particular makes use of a wealth of methods to enlist the sympathy of its public and to demoralize its targets and rivals. The development of unifying communications technologies—particularly the Internet—allows a terrorist cell to form and operate without the direct support of a large terrorist organization or a state sponsor. Cryptography and global telecommunications technologies have provided terrorist networks with new tools for secure communications among members scattered across the globe, who may seldom or never meet in person. Terrorists use the Internet for the same reasons—and in the same ways—that any multi-national corporation uses it: for marketing; for communications, command and control; for intelligence gathering; for fund-raising; and for a host of other activities. It can be argued that without the Internet, al-Qaida would not exist as a global entity, and the Global Jihad would be merely the “local” Jihad—isolated cells claiming common historical roots. The Global Jihad network is a product of the communications revolution. Unlike the terrorist organizations of the past, al-Qaida not only has a presence online, but in some senses has its primary existence online. Al-Qaida’s shift into cyberspace was necessitated by the destruction of jihadi training camps in Afghanistan following the September 11 attacks; the movement’s leaders turned to cyberspace to maintain contact with their dispersed constituency. However, the use of the Web as its primary venue was a matter of choice as well as necessity; since its inception, the Global Jihad has relied very heavily on the internet and online communities to further its aims. The Internet supplies the jihad movement with more than recruitment and propaganda tools. It also provides the means for ideological development and the exchange of ideas. Without free and open communication, any large, dispersed movement must inevitably fragment and become ineffective. The Internet is where ideas are hashed out, dissent is either neutralized or accommodated, and strategies and tactics are developed and discussed. Oddly enough, in this sense the Global Jihad is an essentially democratic movement—if by “democratic” we understand “one voice, one vote”—even though jihadists despise democracy. One of the effects of globalization has been the erosion of national identities. This sense of alienation has been cited as a major source of disaffection among second- and third-generation immigrants in Western countries. The Global Jihad ideology offers an attractive alternative identity for those searching for a sense of belonging. For many—particularly the younger generation—various forms of interpersonal interaction over the Internet can act as an acceptable substitute for face-to-face socialization. This interaction helps to build a sense of community, allowing members to belong to an entity greater than themselves, independent of geography or local circumstances. The online Global Jihad community has served to radicalize its constituency far in excess of what would have been the case in the era of print and conventional broadcast media. In the past, immigrants were effectively isolated from their former countries, and thus faced a high degree of pressure to adopt the values, habits, and assumptions of their host society. The Internet has eliminated much of this isolation, and thus considerably reduced the informational and social pressures leading to assimilation. Because virtual communities are idea-based rather than based on geography or family relationships, they may have a tendency towards escalating extremism. In general, successful social entities are those which act to strengthen and perpetuate themselves. In political virtual communities, this “success strategy” leads to a deepening of commitment and extremism, through an “echo chamber” effect. Psychologists have documented how radical websites inculcate a sense of communal outrage by building on trauma. In conflict zones, their work is expedited by the presence of potential recruits with actual trauma that can be exploited. In order to do the same in non-conflict zones, they use the internet to induce secondary trauma through pictures, video clips, etc. The viewer gradually comes to see himself as belonging to a group that is under attack from all sides by powerful enemies. These invoked traumatic responses, coupled with the suggested subjective familial identifications with the victims, are then manipulated into righteous anger; widely-held Islamic tenets call for active involvement in conflicts around the world in the defense of Islam, and for the establishment—even by violent means—of a state of social justice. The viewer is thus made to identify with events happening in distant parts of the world, and to feel that s/he is directly affected by these events. Terrorism has always been primarily psychological warfare, carried out through the media. Terrorism is analogous to a virus, which transmits its “genetic message” through the legitimate means of information transferal of the society on which it preys, thus altering the society’s perception of itself and the world around it. In essence, terrorism aims to replace a society’s worldview with its own, just as a virus replaces the host’s genetic material with its own. This has opening up new vulnerabilities for psychological warfare and has changed the way terrorists operate, altering everything from target selection and modus operandi to methods of publicizing the attack. Terrorists can use the Internet to reach a variety of target audiences—whether friend or foe—thus multiplying their own image in the eyes of their supporters and creating greater anxiety in their target population. In general, it is Western-style democracies that are most vulnerable to such manipulation. The spread of liberal-democracies has thus led to new vulnerabilities, which in turn have spurred the growth of terrorism to exploit these new vulnerabilities. Both the use of global “oppression” for terrorist recruitment and the use of terror attacks to affect distant audiences are consequences of the same thing: the globalization of news and information. In both cases, people are likely to react just as strongly to events far away among strangers as to events close to home that affect them directly. US Treasury Department General Counsel David Aufhauser has estimated that prior to the September 11 attacks, al-Qaida had an annual budget of more than $35 million. In December 2002, Jean-Charles Brisard, in his report to the UN Security Council, valued al-Qaida’s annual income at $50 million and global assets between $300 million and $500 million. A 2002 intelligence report also indicated that Saudi Arabia alone was providing al-Qaida with $1-2 million every month through mosques and other fundraising methods. Al-Qaida has at one time operated ostrich farms and shrimp boats in Kenya, bought tracts of forest in Turkey, engaged in diamond trading in Africa, and acquired agricultural holdings in Tajikistan. Many of these minor enterprises—such as the fishing business in Kenya—served as a cover for terrorist operations. Al-Qaida is in fact a kind of multi-national corporation, with a global infrastructure for funding, recruiting, training and operations. Its financial network includes legitimate businesses and criminal enterprises all over the world. Money is moved via charities, non-governmental organizations, Islamic trusts and banks, as well as through the more secretive Hawala financial network. Bin Laden’s network is believed to have bank accounts all over the world—from Barclay’s Bank in London, where a suspect account was shut down by the British government, to Girocredit in Vienna, to several banks in the trading port of Dubai of the United Arab Emirates. Like a multi-national corporation, al-Qaida has grown through systematic mergers, whereby it offers local Islamic groups hitherto unobtainable funding and the promise of professional consultants, in return for a commitment to its vision of Global Jihad. Over the past two decades, bin Ladin’s financial network has funded Islamist conflicts all over the world. Gradually, al-Qaida has swallowed up regional Islamic militant groups in virtually every corner of the world. Terrorist activities have become more transnational than at any time in history. A terror attack may be planned in one country, recruit operatives from another country, and train them in a third country. Distant conflict zones, often serving the Global Jihad as “pet wars”, offer not only training, but a means of inculcating the image of “Islam under attack”, and building a pool of committed recruits. Conflicts in Afghanistan, Chechnya, Bosnia, and Iraq have all served as training grounds for would-be jihadis from all over the world. Thus, terrorism not only makes effective use of the mobility of information, ideology, and news, but also of the increased mobility of people. One effect of all this has been the increase in mass casualty attacks. An analysis of terrorism chronologies shows that terrorist attacks in the 1990s had nearly a 20% greater probability of resulting in death or injury than did those of the previous two decades. Of the many attacks carried out or thwarted in the United States and Europe in recent years, almost all were meant to kill hundreds, if not thousands, of people. This change reflects the shift from nationalist “political” terrorism to a new kind of terrorism motivated by religious ideologies. While nationalist groups were well aware of a potential backlash that could undermine their legitimacy, the “new terrorist” has no such qualms. Because the target audience of the new terrorism typically lives far from the scene of the attack and has been indoctrinated to eliminate empathy for “the other”, backlash is no longer a factor—and thus bigger is better. The shift from nationalist to Global Jihadi terrorism reflects two underlying trends: the rise of militant Islamism as the primary motivator of terrorism, and the demise of nationalist territorial claims as the primary grievance. The increasing effectiveness, mobility, and impact of terrorism show how the positive and negative features of globalization and new technology are intertwined. International terrorism has globalized for the same reasons that multinational corporations have globalized. Just as multinational corporations establish branches around the world to take advantage of attractive economic or social conditions, so do illicit enterprises. And just like legitimate businesses, terrorists can exploit new economic circumstances thanks to the communications and international transportation revolution. Globalization is essentially value-neutral; the same technologies, social processes, and institutions that support the spread of liberal democracy and mass consumerism can support with equal ease the spread of any other ideology, including the Global Jihad. Paz, Reuven. “Is There an Islamist Internationale?” July 9, 2000. 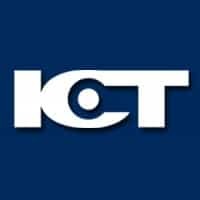 ICT website. www.ict.org.il accessed 29 December 07. Huntington, Samuel (1996), The Clash of Civilizations and the Remaking of World Order. New York: Touchstone Books. Barber, Benjamin R. (1995), Jihad vs. McWorld. New York: Ballatine Books. Held, D. and A. McGrew (2002), Globalization / Anti-Globalization (Cambridge: Polity Press). Radlauer, Don. “Virtual Communities as Pathways to Extremism.” NATO Advanced Research Workshop. Eilat, Israel. September 2006. McMillan, D. W., & Chavis, D. M. (1986). Sense of community: A definition and theory. Journal of Community Psychology, 14(6-23), cited at http://blog.lib.umn.edu/blogosphere/blogs_as_virtual.html. Sunstein, Cass R. (2007), Republic.com 2.0. New Jersey: Princeton University Press. Speckhard, Anne. “Secondary Trauma and Internet Persuasion.” NATO Advanced Research Workshop. Eilat, Israel. September 2006. Written Testimony of Jean-Charles Brisard International Expert on Terrorism Financing Lead Investigator, 911 Lawsuit Ceo, Jcb Consulting International Before The Committee on Banking, Housing and Urban Affairs United States Senate. October 22, 2003. Terrorist Financing Report of an Independent Task Force Sponsored by the Council on Foreign Relations. 2002. Written Testimony of Jean-Charles Brisard. October 22, 2003. K. T. Bogen, E. D. Jones. (2005) “Risks of Mortality and Morbidity from Worldwide Terrorism: 1968-2004”. Lawrence Livermore National Laboratory. Katzman, Kenneth. Terrorism: Middle Eastern Groups and State Sponsors. Library of Congress. Congressional Research Service. August 1999.